Rick Hay - Dip Nutrition, Dip Botanical Medicine, Dip Teaching aka 'The Superfoodist' - has over twenty years experience working with nutrition and botanical medicine. He specialises in weight management, anti-ageing, beauty from within and sports medicine. Rick is the author of 'The Anti Ageing Food and Fitness Plan' and lectures in Detox, Cleanse and Sustainable Weight Management at the College of Naturopathic Medicine in London. He formulates nutraceutical products and has won awards for some of his formulations. He also has had experience managing a successful vitamin company. 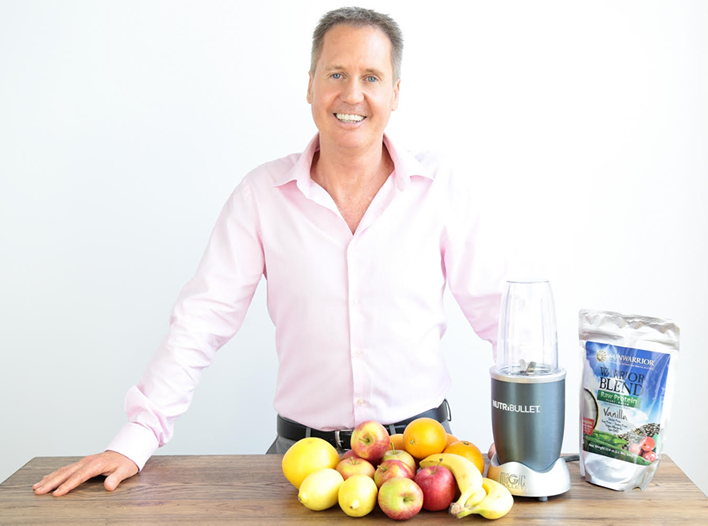 Rick is a regular Health and Fitness Guest on Ideal World TV in the UK and has appeared frequently on TVSN in Australia. Here is quick Q&A with Rick where he answers some of our reader's questions. D: What are some of the biggest nutritional myths? R: Many people think that they can get all of their vitamin and mineral requirements from food but with today's agricultural processes this is often not possible and many of us are in fact deficient in certain vitamins like D3, B12 and K2 - this isn't helped by our junk food western diet and due to the fact that roughly only 20 percent of the UK population currently get their five a day. D: Is there a reliable way to estimate the number of calories in fruits and vegetables? R: You can use some online calorie counters that do this for you really reliably - better than your guess! D: What are the best and worst sources of carbohydrates? R: The best sources are those that are natural and not overly processed - they have the most fibre too. Natural complex carbs from fruit and vegetables are the best by far. D: Which foods should one eat or avoid to achieve a flatter stomach? R: Again things that are natural and not overly processed - natural plant based proteins are my favourites to help with weight management. Think fibre and you can't go wrong. D: Are high protein diets healthy? What kind of protein diet would you recommend to a vegetarian? R: Yes. if they are predominantly plant based. Make sure that it's varied and that you gave protein with every meal - think chickpeas, lentils, beans, tofu and tempeh and other vegetable protein sources like avocado. Also it a variety of whole grains with this like brown rice, Wholegrain pasta and quinoa. D: What are the top 5 anti-ageing foods according to you? R: Anything brightly coloured - berries, leafy greens, beetroot, orange and yellow fruits and fish or algal oil. D: What is the best way to stay healthy when travelling? R: Take some supplements with you - I take healthy snack bars with me too and probiotics of course. Also seek out food healthy restaurants and shops online before you go so that you can track them down. Don't binge drink and try to relax!